The LR8000 electronic level sensor from ifm with protection rating IP67 operates to the principle of guided wave radar. 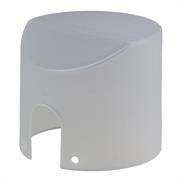 The housing can be rotated by 360° and the rod length of L = 100-1,600 mm can be cut, if required. The unit features four programmable NC/NO contacts. 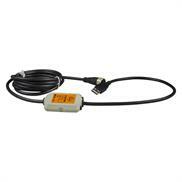 The LR8000 level sensor can be easily operated via the user menu and the current level is directly indicated via LED display. 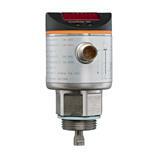 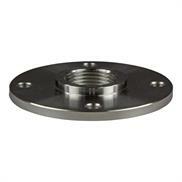 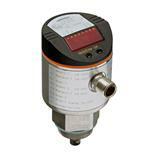 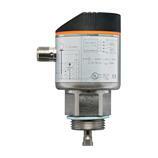 The sensor is suitable for continuous level monitoring in almost all liquids. 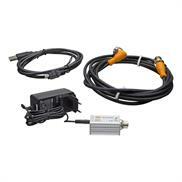 Therefore the LR8000 level sensor with M12 connector and process connection G 3/4 male is ideal for level monitoring of hydrous media, coolants, cleaning agents and oils in machine and plant construction. 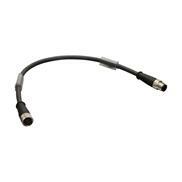 For media with a dielectric constant 2...20 (e.g. 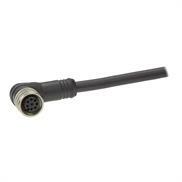 oils) a coaxial pipe is required for operation (see accessories).